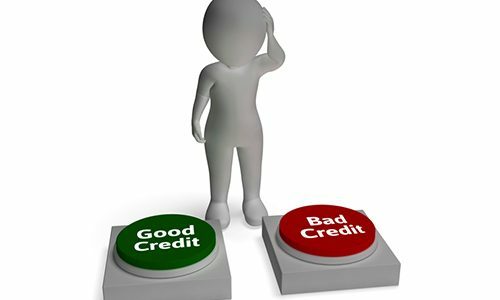 If you have bad credit because you were hit badly in the past by the unstable economy, lost your job or simply do not have the proper finances to pay for your monthly dues, taking measures to repair your credit is crucial, especially if you plan to take out a loan. One thing you should remember is that rebuilding your credit is not something that can happen overnight. Although there are credit repair companies that promise to shake heaven and earth to fix your credit, improving your score is your responsibility and it requires your full attention and time. Here are some tips to help you fix your lacking credit score. Keep in mind that delinquent payments on monthly dues for your loan and credit card bills are hugely detrimental to fixing your credit. Missing your payment, even just a few days late, counts and can have a hugely negative impact on your credit score. If you have missed payments, you should make sure to stay current with your bills henceforth, as settling bills on time after having a bad payment history will help to increase your credit score. As long you keep paying your dues on time, your poor credit performance will stop haunting you, since your current good payment patterns will reflect on your credit report. If you are the forgetful type of borrower, one thing that will help you keep up with your payments is to set up an automatic pay schedule that will deduct your monthly payments automatically from your bank account. Check your current invoices to know how much you owe your lenders and credit cards so that you can determine a monthly budget to pay them through the automatic payment method. This way, you will not have to worry about missing your payments or incurring late fees on your bills. Furthermore, you can allot a bigger budget for your loans and credit card debts that have charged you with high interest rates and then set a minimum payment budget for your other smaller accounts that you need to pay monthly. Coming up with a payment plan that allows you to set aside some of your available budget to pay off your monthly debts can be helpful in cleaning up your credit reputation. Aside from making timely payments, another way to help improve your credit score is by keeping all of your balances low, especially when you use credit cards to make purchases. Check all of your credit card bills and determine your credit utilization (which is basically the amount of your available credit limit) that you use in a month. Take note that your credit utilization is about 30 percent of your credit score. If you use several cards, you will ideally pay off all your balances on time. However, if you have to choose, say, from three credit cards, you should pay the one with the highest balance first. Remember, the closer your balance is to your account’s credit limit, the higher negative impact it will have on your credit score. A good technique to keep your credit card balances low is to follow the 10 percent rule, which means you must pay down every balance that is beyond 10 percent of your credit limit. Paying off revolving debt in a timely manner and not having a balance on your credit cards that nears your limit will help to improve your score over time. As mentioned earlier, your credit score will resonate throughout your financial life, so it is crucial that you regularly check your credit report. Aside from checking your credit score, you also need to check your report for inaccuracies. If you have not seen your credit report, you need to get a copy from any of the credit reporting agencies, like Trans Union, Equifax and Experian. Every borrower is entitled to have one free copy of his or her credit report each year. The three credit reporting bureaus get details from your lenders to build your credit report. A vital reason to get a copy of your annual credit report is to make sure a lender or credit card company has inappropriately reported something. You might have been a good borrower, but a discrepancy on your report can ruin your credit score. If you spot inaccuracies, you need to report them to the credit reporting bureaus immediately. Companies will then investigate the discrepancy within 30 days upon acceptance of your correction request. Having a bad credit may be an obstacle in getting the financing support you need when seeking a home loan or an auto loan, as well as securing an ideal interest rate. However, if you take the steps to repair your credit now and have the resolve to get a better score, you can revamp your financial outlook in no time.